Regional Manager, West and Central Africa, Ohis Ehimiaghe (left); Group Chief Executive Officer, Vuyani Jarana; Regional General Manager, Africa, Middle-East & Indian Ocean Islands, Aaron Munetsi, and National Sales Manager, Nigeria, Kemi Leke-Bamtefa, all of South African Airways, at the commemoration of 20th anniversary of the airline’s service in Nigeria, held in Lagos. The challenges facing the national carrier notwithstanding, South African Airways (SAA) has projected a return to profitability in the next three years. 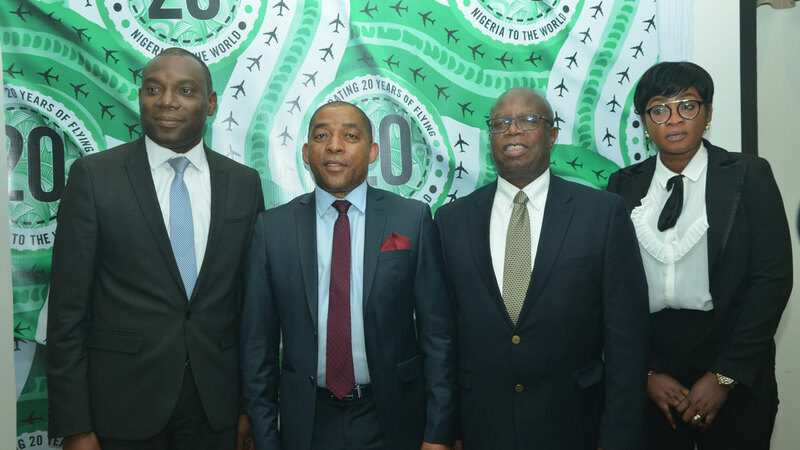 Group Chief Executive Officer of the airlines, Vuyani Jarana, gave this assurance at the commemoration of the 20th anniversary recently in Lagos, saying the revival strategy was already in place. Jarana noted that the airlines, over the years, did not lack requisite strategy, but what was missing is execution of the said strategies, to which the management is redressing. According to him, the main strategy is hinged on revenue optimisation, procurement, as well as re-engineering the technical Organisation ( South African Technic) to make it better, more efficient and able to support more airlines apart from those of SAA. He said: “There had been a number of initiatives and strategies developed in SAA to turn it around. Any business, if it is to succeed, has to be able to carry its operations and rely less on shareholders and capital injection. “Of course, there is nothing wrong with shareholders’ injection and capital calls. It is normal in any business, but the case of SAA has been slightly different. So, we have come in as new management and the big focus has been turning around SAA. “The difference with the current board, is the willingness to execute the strategies, really rolling up your sleeves and getting things done. 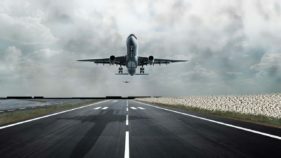 Of course, you tweak your strategy; the biggest dimension of strategy is timing.”Regional General Manager, Africa, Middle East and Indian Ocean island, Aaron Munetsi, said SAA’s 20 years foray into Nigeria has been a mix of all but that the airline has airlifted over three million passengers since then. Munetsi said the figure was low because when both countries entered into Bilateral Air Services Agreement (BASA) in 1998, the BASA was restricted to two frequencies, each on either side, and when it was increased two years later to four frequencies, there was a restriction for both countries to airlift 300 passengers weekly. However, that has since been reviewed. 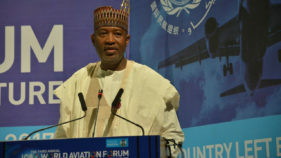 He noted that there are some challenges that made the business difficult to run, not just in Nigeria but Africa generally, citing the high cost of aviation fuel as a prime example. 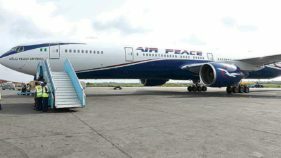 It will be recalled that operations between Johannesburg and Lagos commenced on December 4, 1998, as SAA launched its first flight into Nigeria soon after the Bilateral Air Service Agreement between the two countries had been signed.